Two and a half years ago, Katherine Receveur was in the hospital for a week with a kidney infection. It was the end of the summer before her freshman year of college, and she was confined to a hospital bed, unable to do menial tasks without assistance. A run was out of the question. The kidney infection was the unwanted end to a year that included a bout of mononucleosis in the fall and dangerously low iron levels in the spring. It took years of determination and stubbornness to become the runner she is today: a top contender for an NCAA indoor championship this weekend in College Station, Texas. 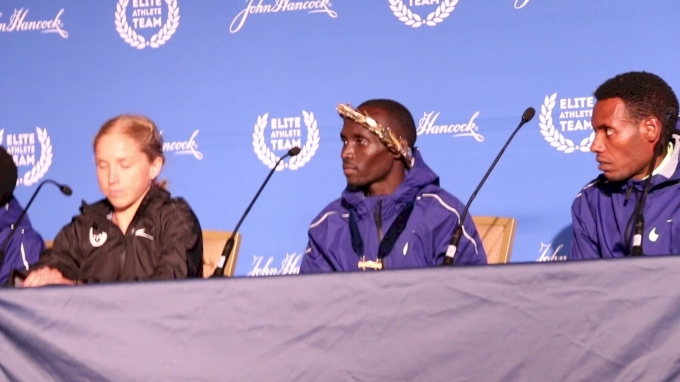 "If I don't get a workout right or don't race the way I wanted to, I just have to remind myself to appreciate where I am because I've come a long way," Receveur told FloTrack. At the Big Ten Indoor Championships on Feb. 24-25, Receveur stood out from the crowd for her accomplishments across three events--the distance medley relay, the 5K, and the 3K. But it was the 5K that really made heads turn. The redshirt sophomore from Indiana took down All-Americans Tessa Barrett and Erin Finn with an NCAA-leading mark of 15:28.89. She held off a hard-charging Barrett, who closed for second in 15:28.99, and Finn, who followed for third in 15:32.45. Receveur's performance ranks No. 5 all-time among collegiate indoor performances on an oversized track. The Big Ten 5K is just one of many massive improvements this season for Receveur, who clocked a season's best of 16:51 just one year ago. Her 9:40 3K best from last year went down when she ran 9:03 at the Meyo Invitational on Feb. 4. 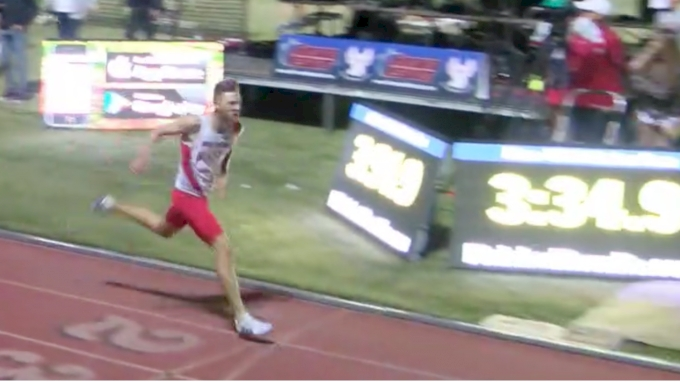 She lost by less than a second to professional runner and 4:03 1500m specialist Amanda Eccleston but beat talented All-Americans Jordann McDermitt, Alexis Wiersma, and Anna Rohrer. One week later at the Alex Wilson Invitational, Receveur anchored the Hoosiers distance medley relay to the second-fastest time in the country with a stunning 4:33 split on her 1600m leg. It was a jaw-dropping accomplishment for the athlete who struggled to run 5:55 in the mile at an Indiana home meet two years ago. In her senior year at Assumption High School in Louisville, Kentucky, Receveur committed to run for Miami University (OH). Before her nightmarish health scares, she had notched several impressive high school marks, notably a 4:55 1600m, four state championships in cross country, and several qualifications to compete at Nike Cross Country Nationals. But after spending a week in the hospital the summer before her freshman year at Miami, Receveur lost all of her fitness and was forced to begin again from scratch--from the bottom of the downward spiral. "In the fall at Miami, there were a few weeks straight when I thought, 'I'm going to quit. This is not what I want to do, this is not how I want to spend my college years,'" she said, recalling her plan to break the news of quitting to her parents. "But there was one day on a run when something just clicked in my head, and I thought, 'I miss the person I used to be.'" Since she wasn't fit enough to run with the team, Receveur did the majority of her training alone. After one semester, Receveur transferred to Indiana with the hope that running would come to her once again. "I can't stay here and be happy running, but I'm going to go somewhere else and give it another try," she remembered thinking. However, the road would be far from easy. When she arrived at Indiana in the winter of 2015, Receveur was desperate to be part of the team, but it was clear that her body was not race-ready. 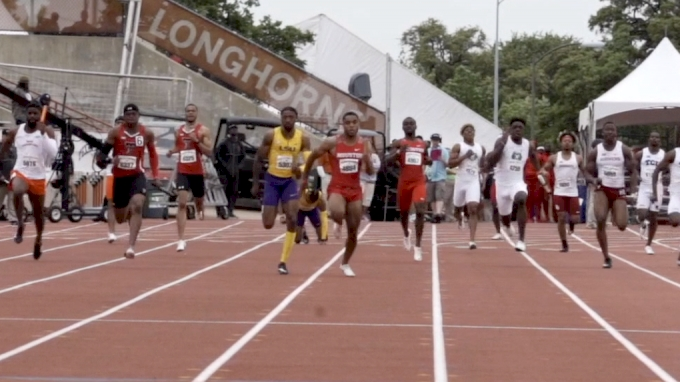 The 5:55 mile at the home meet revealed that. 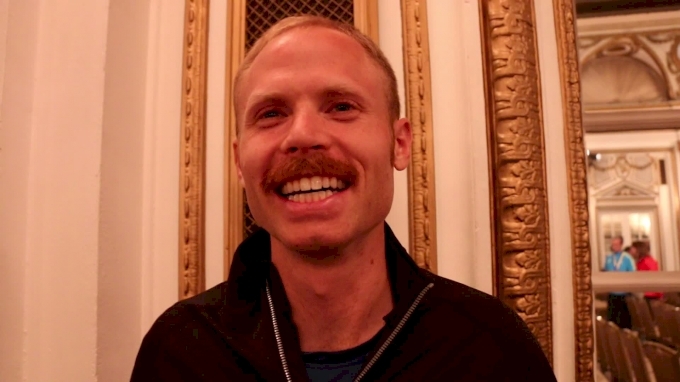 "I would get anxiety even for a recovery run, because I would get dropped. I'd have to run on my own," Receveur recalled. "The boys would make jokes about how many times they could lap me. It's funny now and we're all friends, but looking back it was really embarrassing." Inevitably, doubt crept into her psyche. Was she out of shape? Would she return to be the runner she once was? Was she good enough to be there? "It was miserable," she said. "It was probably the worst couple months of my life." At the time of her arrival in Bloomington, Receveur didn't know that she was suffering from low iron levels again. She just assumed she was still out of shape. Although it was clear she couldn't race yet, IU head coach Ron Helmer assured her that she was still two years behind in fitness due to the lack of consistency in her training. After they addressed her iron levels, Receveur began to build in her first healthy track season since her junior year of high school. The summer of 2015 was a critical time for Receveur, as she knew her spot on the team was in jeopardy if she didn't return stronger. "I didn't transfer schools and go through all of that to quit," she said. "Even though I doubted myself many times that semester, I kept at it, and when I saw a little bit of progress at the end, that gave me motivation to go home and reset." She did return stronger in the fall and even made the travel squad, a seemingly impossible feat just six months earlier. In her first collegiate cross country season, Receveur was 71st in the Big Ten and 100th in the Great Lakes Region. She continued to build through the 2015-16 track season and opened with a 4:56 mile in the December Hoosier Open--one year after struggling to run under six minutes. The times continued to fall in the winter of 2016 when she notched a 4:48 mile and a 9:40 3K. By the outdoor season, Receveur was back to full fitness and running easily with the team. Well ahead of her high school bests, Receveur blasted a 4:23 1500m, which earned a spot to compete in the NCAA East Preliminary round. Although she didn't advance to the 2016 NCAA finals, the performance marked a complete turnaround with unimaginable potential. "A year ago, I thought 'maybe I can score in a Big Ten meet,'" she recalled. 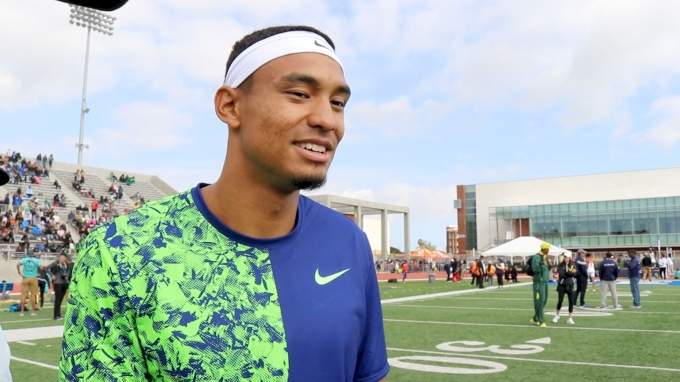 "Then outdoor came and I barely scored in the 1500m, and then my goal became making nationals. My coach [Helmer] made a comment about it, and I thought, 'Wow, he really thinks I can do that?!' So that became my next dream." With a second consistent summer training session in her arsenal, Receveur unleashed a stunning 11th-place finish at the 2016 NCAA Cross Country Championships. Her All-American finish is the highest at the championship for an IU runner since Michelle Dekkers earned third in 1989. At the NCAA Indoor Championships on Friday and Saturday, Receveur is set to compete in the distance medley relay and the 3K, in which her team is ranked second and she is ranked fourth individually. 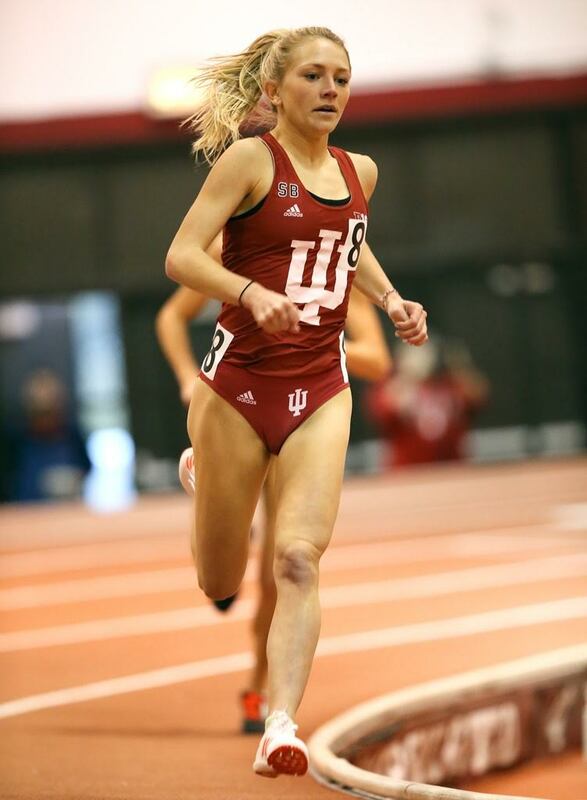 The same runner who struggled to keep up on recovery runs two years ago now has the potential to become Indiana's first female distance runner to win an NCAA indoor crown. Receveur knows that has already accomplished more than she ever imagined, but she is not yet satisfied. "Every little improvement has motivated me and I'm craving more."